Can I buy Ovranette without a prescription? 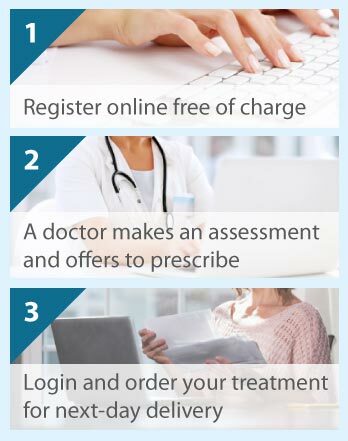 The Online Clinic is a licensed healthcare provider so we can issue prescriptions following an online consultation that takes the form of a few salient medical questions to make sure that Ovranette is appropriate for you. The medication is sent for next day delivery. Ovranette is a contraceptive tablet for women, which is most commonly known as “the pill”. Ovranette contains the synthetic hormones ethinylestradiol and levonorgestrel, analogues of the natural hormones oestrogen and progesterone. Ovranette works in the same way as other combined oral contraceptive pills to prevent pregnancy. Ovranette is hormone based and tricks your body into believing that ovulation has already happened and makes it difficult for a pregnancy to occur even when an egg is released. How is Ovranette taken as a contraceptive? You take Ovranette once daily for 21 days. You then have a 7-day break during which the hormones in your blood fall. This leads to a bleed similar to your normal period - we call this a withdrawal bleed. You then start the next pack regardless of any bleeding. You are still protected against pregnancy during your 7-day break if you took all of the pills correctly and start the next course promptly. Sometimes the effectiveness of Ovranette may be impacted by events such as: missing a pill by more than 12 hours; taking other medicines which may interfere with the way that Ovranette works; having diarrhoea or other gastrointestinal problems. In such situations you will need to take extra contraceptive precautions. Are there any side effects of Ovranette? The most common side effects are nausea, vomiting, headache, breast enlargement, weight changes and fluid retention. If you are seeking to be prescribed Ovranette through us then it is unlikely that you will be suffering side effects as we expect patients to have used this medication before without incident. It is important to be using a pill that agrees with you and does not cause more trouble for you than an alternative solution. Can anyone use Ovranette (ethinylestradiol and levonorgestrel)? You should not use Ovranette if you are or think you are pregnant, are lactating, have any pulmonary or cardiovascular problems or diseases, or are over 50 years of age. We will check you for contraindications during your consultation online so it is important that you make a full disclosure.